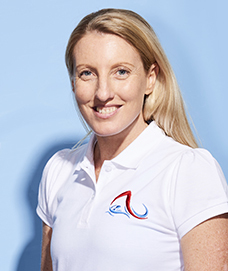 Melissa Denyer is our resident Sports Massage Therapist offering sports massage, pregnancy massage and massage for headaches. These treatments are available on Tuesday and Thursday mornings from 8.30am in the Flow Treatment Room in Tunbridge Wells. All of Melissa’s treatments last for one hour. Specialist massage techniques are used to help treat muscle injuries, soreness and pain, allowing one to move more freely and improve posture. This type of massage is not just for sports people and athletes; it benefits people of all ages and condition, such as office workers, manual workers and new mums! The range of Sports Massage techniques (deep friction, neuromuscular techniques, muscle energy techniques, soft tissue release, positional release and connective tissue massage) offered also help to prevent injury by monitoring soft tissue and muscle conditions, aid recovery and rehabilitation if injured and increase flexibility and mobility. Kinesio Taping is often also used to accompany the treatment if required. Many postural changes take place during pregnancy and the stresses on the body during and after labour. Massage can help relieve discomfort, promote relaxation and regain muscular balance. Our therapist has also completed an accredited course in Advanced Massage for Headaches. Massage can help alleviate the symptoms by using practical techniques such as soft tissue therapy, cervical articulation, neuromuscular techniques and also specific trigger point release. Payment is made to the therapist on the day of the treatment.